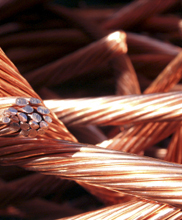 Here are some of the most frequently asked questions (FAQs) we get asked about our scrap metal and recycling services. If the answer to your question isn’t here, or elsewhere on the site, please contact us. Call 01451 820 230 or email your question. If it’s about metals, or how to recycle them, we will know, or be able to find, the answer. We’ve been in business since the 1990s, trading ethically, fairly and with an eye on the environment at all times. 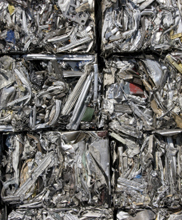 Scrap metal and recycling is what we do. Our scrap metal, metal recycling, waste management and scrap collection services are based in the UK counties of Gloucestershire, Oxfordshire, Warwickshire and Wiltshire. Occasionally, we operate further afield. Our depot address is as follows. We’re easy to find as you drive along the A46 Fosse Way at Bourton-on-the-Water in the heart of the Cotswolds – but less than 30 minutes’ drive from Cheltenham or Gloucester if you’re dropping something off. Do you scrap and recycle cars? Yes. Please bring your car and its V5 document to us. 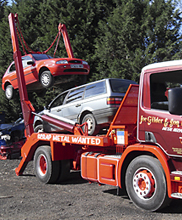 We can also arrange to collect scrap cars for recycling if they are non-runners or unroadworthy. Please call or email to arrange collection. Can you collect my scrap items? Yes we can, depending on what you want to dispose of. We can collect items of a certain value within an approximately 30-mile radius of our depot at Bourton-on-the-Water, Gloucestershire. If you need to dispose of something, please contact us to see if we can help. For large quantities, or pre-agreed collections, we sometimes collect from further afield. What kind of metal do you recycle? 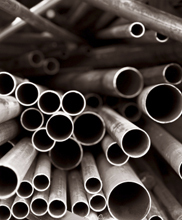 As all metal merchants will confirm, prices for ferrous and non-ferrous metals and other materials vary daily. To make sure you get the best price for your scrap metal, please call or email for today’s prices. Do you provide or arrange skips? We can arrange skips with a capacity of 8–40 cubic yards (6.1–30.6 cubic metres) for your metal scrap. Can’t find the answer you need? 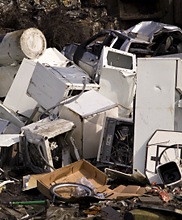 Want a competitive price for scrap metal recycling or waste management? Contact us now.